1 Kingsize en-suite + 2 Twin Bedrooms. 4 Star Gold. Kingsize en-suite bedroom. 4 Star Grading. Kingsize bedroom. 4 Star Grading. Middlebeck Cottage is a 4* Holiday Cottage in Ambleside, which offers luxury Self Catering Accommodation for 2 people, in an Idyllic riverside setting close to Lake Windermere. 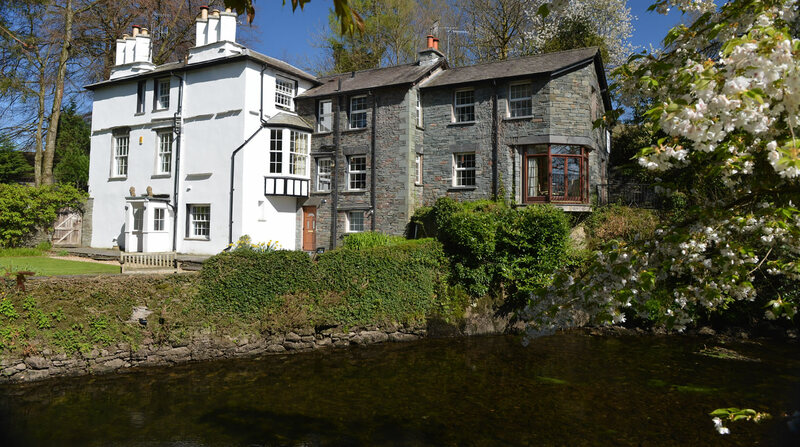 Just 500 yards from the centre of vibrant Ambleside, Middlebeck Cottage is one of two cottages adjoining Riverside Lodge, a property of immense charm and character in a unique location on the banks of the River Rothay that flows through the grounds of the property before running into Lake Windermere. Middlebeck Cottage is a four star quality self catering cottage offering great character and charm for two people; the perfect choice for a romantic break at any time of year. The cottage offers mesmerising views of the riverbank from all rooms across the lush green garden areas and beyond to Loughrigg Fell. Middlebeck Cottage has an outdoor patio overlooking the river and a large car park across the private footbridge from the property. With 4* freezer and secure storage for bikes and/or fishing tackle. Ironing board and iron. Door to patio. Bedroom: Superb super king size bed (Vi-Spring mattress), clock radio alarm, hairdryer. Ensuite: tiled shower cubicle, wash basin and WC. Lounge: with wood burning stove, 32" smart TV, Blu-ray/DVD player. The dining table is strategically placed to take in the wonderful view of the river and grounds. 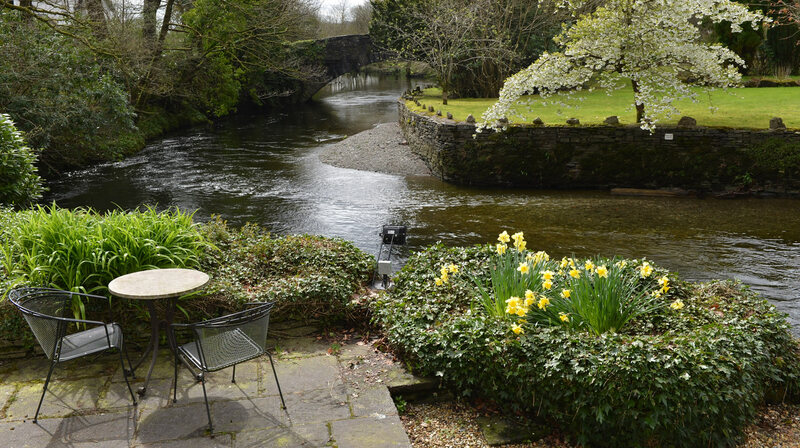 There is a patio area, table and chairs provided, adjacent to the cottage with fantastic views overlooking the river. A gated large gravel car park is provided from which a private footbridge provides access to the cottage. For loading and unloading, temporary use of the private driveway adjacent to the property is available. 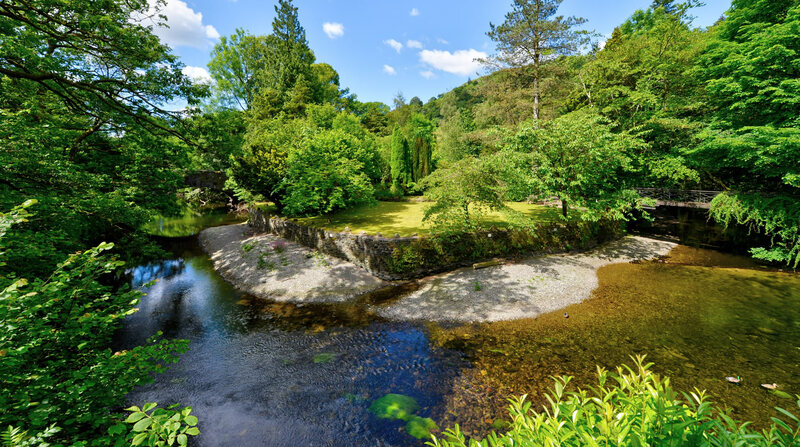 The delightful garden borders the river on both sides providing plenty of space to enjoy the wildlife and views over the river and adjacent Loughrigg Fell. All gas, electric, bed linen and towels included. Free wifi internet access is provided. The first basket of logs and kindling are provided. Further supplies are available locally. Due to the proximity of the river we do not recommend the location for young toddlers. Four star quality self catering cottage offering great character and charm for six people. The Lodge has received the coveted Gold award in recognition of exceptional quality. Four star, quality self catering cottage offering great character and charm for two people; the perfect choice for a romantic break at any time of year. All 3 Properties are Visit England 4 Star. The Lodge also has a Gold Award for Exceptional Quality.